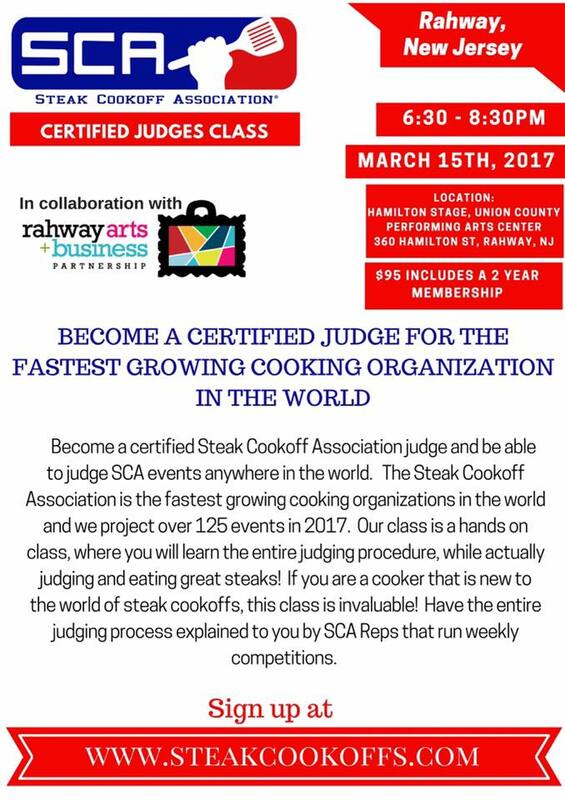 The Rahway Arts and Business Partnership in collaboration with the SCA Steak Cookoff Association is hosting Rahway NJ’s first ever Certified Judging Class. Certification allows you to Judge any SCA Cookoff events in the World. The Steak Cookoff Association is the fasting growing cooking organization in the world. Your certification includes a two year membership. It is that little bit of randomness and awesomeness that is Rahway. Registration for the class at www.steakcookoffscom. Class will be held at the Hamilton Stage on March 15th. From 6:30pm to 8:30pm.